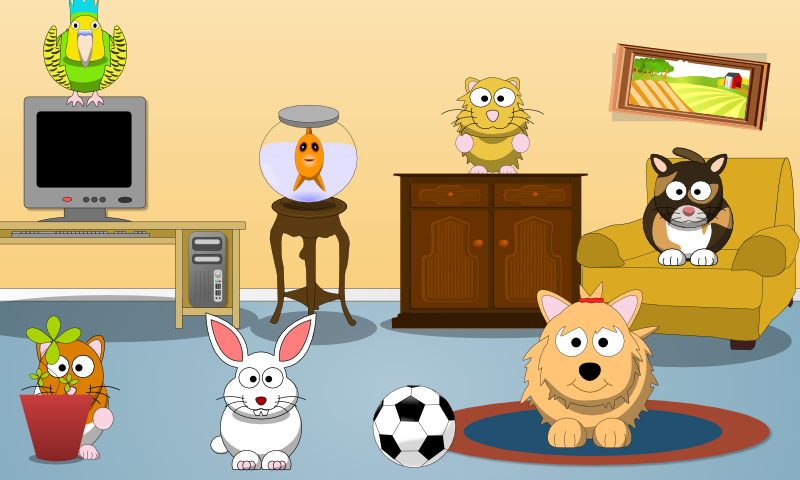 Home General Cute Animal Life: Another screenshot! Cute Animal Life: Another screenshot! Published on 17. July 2012,	by marcus in General. hope you had a fine weekend! Work on Cute Animal Life continued and now I can proudly present a screenshot of the final scene, animals back at home! As always, feedback would be much appreciated. I really hope you like what you see! There is still much to do. I plan to record lots of speech samples to improve the game, for example. But as things shape up nicely, I think the final game will go live this month! Until then, why not try the free demo and maybe rate it in the market if you like it?